I finally found a retailer that sold lemongrass so I bought several small plants. 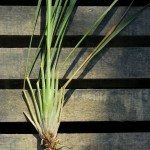 It's not getting far into the growing season and now I'm wondering if I really got lemongrass or just an ornamental grass. If I send you a picture, would you be able to tell if it is lemongrass? You certainly can send an image, but you are correct in that it looks like an ornamental grass. 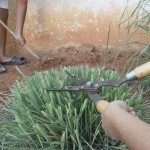 You can bend and scuff the lemon grass in your fingers and you should smell the citrus lemon smell. Even small plants should have the lemon essence. I do find my plants slow growing to start and then will take off.